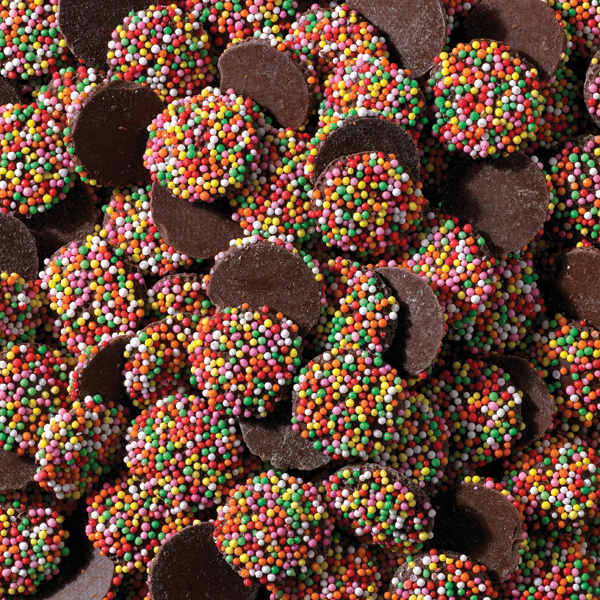 The original sprinkle coated chocolate. To find our larger home-made variants, please look for "Speckle". 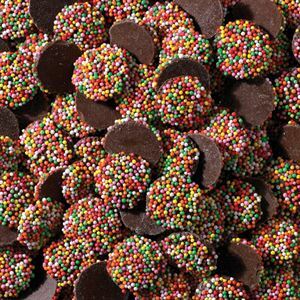 Ingredients: Compound chocolate (sugar, milk solids, Vegetable fat [Emulsifiers (Sorbitan tristearate, Soy lecithin)]Cocoa, Emulsifier (Soy lecithin), Salt, Flavour], Non Pareils (27%) [Sugar, Tapioca starch, Colours (Carminic acid, Copper chlorophyll, Turmeric, Paprika extract), Glazing agent (Carnauba wax)]. No artificial colours.Contains Milk and Soy. May contain Peanuts and Tree nuts. Children less than 4 years have limited chewing ability and could choke on small pieces. Packed by Hahndorf Sweets in a location which also packs products containing Peanuts & Tree Nuts. 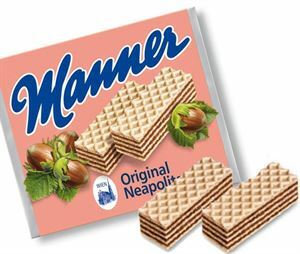 In the year 1898 Josef Manner I. invented the Manner Original Neapolitan Wafer: five layers of crispy, paper-thin wafers and four layers of the finest hazelnut-chocolate-cream filling with 12% hazelnuts. In its 115-year history, the Manner Wafer has been an integral part of Vienna’s confectionery tradition and has become the unbeaten wafer classic. People across the globe have discovered and enjoyed the Manner Wafer, and they all simply love it! A candy remake of an old favourite. 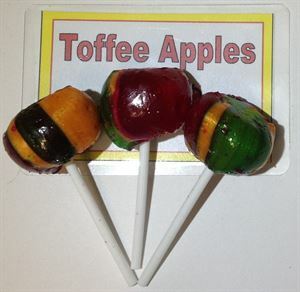 These sticky toffee apples are great for the whole family. 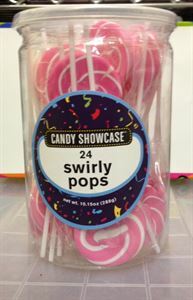 Copyright © 2019 Hahndorf Sweets. 54a Main Street, Hahndorf, Adelaide Hills, SA.